Photo taken from One Kendall Square’s website. Rockwood Capital and Related Beal said Wednesday that their joint venture has completed the sale of One Kendall Square, a complex of office buildings in East Cambridge, to Divco West, a real estate investment firm with offices in Boston. 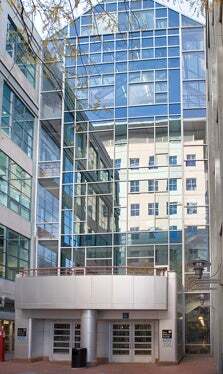 One Kendall Square is home to many technology and life sciences companies. Tenants include Merrimack Pharmaceuticals, Akamai, Nine Point Medical, MIT, Abcam, Next Jump, CRB Consulting Engineers, Invivo Therapeutics, Redstar Ventures, Visterra, Inc., Cogo Labs, Semprus Biosciences, and Catabasis, the joint venture said. Terms of the transaction were not disclosed. Rockwood and Related Beal said they acquired the property for $211 million in 2006. Over the course of their ownership, Rockwood and Related Beal added that they invested $75 million in the property’s base building infrastructure, public spaces, and tenant improvements.